We the board of directors, staff, and interns of The Serie Project sincerely express our condolences to the family and friends of Marilu Flores Gruben, a greatly talented artist and friend of our organization who participated in our Artist in Residence program. Like many artists who grew up on the Mexico-Texas border, inspiration often manifests itself in the form of vibrant appreciation for two countries. Marilu Flores Gruben is no exception. Though her formal art education has supplied her with an impressive resume, Gruben’s solo and group exhibitions provide her domestic and international experience throughout Texas and in California, Mexico, and Argentina. Much of Gruben’s work is a reflection of mystic and religious artifacts that she often finds in Mexican homes. On several occasions, Gruben crossed the Rio Grande River to Nuevo Laredo, Mexico and literally painted within homes to capture the raw essence of life across the river – a river that Gruben says does not separate, but rather, brings people together. 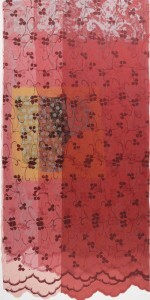 An advocate of using various materials in her work, Gruben has most recently found fabrics to be her preferred medium. Gruben enjoys making installations mostly because of the varying ways viewers can perceive Gruben’s preferred subjects: women. Artist, teacher, wife, mother, comic poet, humane philosopher, generous collaborator, unsentimental embracer of life’s finer madnesses, and—since the age of 18—a student of what she herself called “all the different ways of seeing,” Marilu Flores Gruben passed away on March 12, 2013 in Houston, Texas. Born in Laredo in 1944, to a family that settled the area early in the 18th Century, Marilu was the third of Sheriff Porfirio Flores’ four extraordinary daughters, though she may well have been the only daughter to regularly “borrow” The Sherriff’s official vehicle and terrorize wayward denizens of Lover’s Lane via commentary from that car’s blaring loudspeaker. She attended St. Peter’s, graduated from Martin Senior High, and matriculated to Incarnate Word College, then an all-female institution run by nuns alternately joyous and merciless. She graduated with twin baccalaureate degrees in Studio Art and English and continued her art training at the University of Texas at Austin where she met and married William C. Gruben, a man so taken with her that – within the first month of their 48 year relationship — he swore to learn Spanish so as to ingratiate himself with her family. Such was the power of Marilu’s charm that, in less than a year, William Gruben was fluent. They were soon blessed with two children Adrienne Sigrid, a film producer, and Anna Patricia, a political ethnographer. Upon her husband’s taking his graduate degree from Austin, the family moved to Dallas, where Marilu recommenced her own studies in art at Southern Methodist University, eventually earning a master’s degree. At that point she began to teach drawing and painting at the Arts Magnet High School in Dallas and then – for 20 years – at The Greenhill School. Marilu understood the vital necessity of arts instruction for the young and worked tirelessly to open doors for all her students. 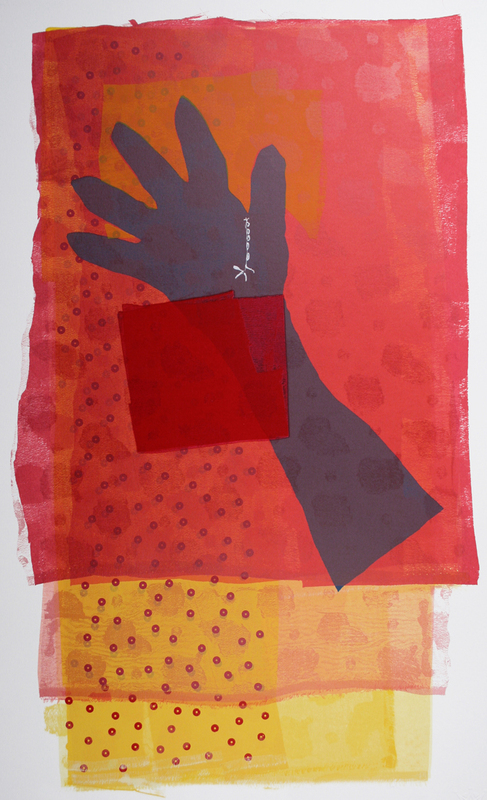 Amazingly, as she spent hours each day showing young people all the different ways to see, as she spent even more time nurturing and celebrating her daughters and her husband, Marilu poured endless energy into her own drawing, collage, and painting. As a result, her art flowered and matured, and Marilu Gruben began to gain national and even international attention. She exhibited in gallery and museum shows from Buenos Aires to Los Angeles, from the University of California at Irvine to Notre Dame University, and her work appeared widely in anthologies and monographs issued by commercial and university presses. 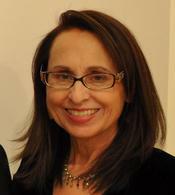 Marilu and her work were profiled by the New York Times, the Los Angeles Times, the Dallas Morning News and the Laredo Times, she exhibited in Texas at the Dallas Museum of Art, The African-American Museum in Dallas, the Art Museum of South Texas, Austin’s Mexic-Arte Museum, as well as in various gallery shows and in the Laredo Center for the Arts. Certainly she drew inspiration from the colors, textures and images from her early life on the border, including paintings referencing the jail where Sheriff Flores presided, collages and ready-mades constructed from swatches of her mothers’ ball gowns, as well as haunting images emanating from the once-submerged-now-reemerging town of Guerrero Viejo, ancestral home of her grandfather. Yet she also opened herself to the world’s other fine madnesses and executed bold canvasses based on her travels to Rio de Janeiro, Madrid, Santiago, Los Angeles, Las Vegas (from which she created a whole collage series on Las Vegas Dancers) and even the grey-blue skies of Eugene, Oregon where daughter Anna was a professor. 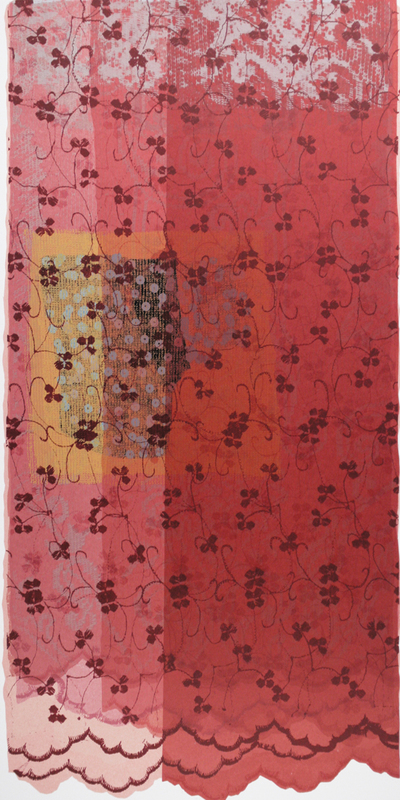 In 2008, she moved back to Laredo with her husband and began a series of paintings and collages based on the shifting landscapes and growing tensions of the Rio Grande. She is preceded in death by her parents, Porfirio L. and Esperanza Flores and Father-in-Law, William Charles Gruben II. She is survived by her loving husband, William Charles Gruben, her daughters Adrienne Goldstein and Anna Olivier, her sons-in law Dave Goldstein and Charles Olivier; her sisters and their husbands, Rosario and Julio† Garcia, Gloria and William J. Dickinson, and Silvia and Jeffrey Jones; mother-in-law Virginia Anderson Gruben, siblings-in-law Roger Gruben, and Patricia and Martin Gotfrit. She is also survived by numerous cousins, nieces, nephews and other relatives, as well as a host of former students and devoted friends.